ph 85 325 896Visit our local Optometry Doctor, located at the corner of Seventh St and Fifth Streets .We are a family operated business run by experienced eye care professionals. Murray Bridge is a South Australian town where not only the first Bridge spanning the Murray River was built, but is also a hub for water sports, boating and fishing. A self sufficient town with its own pulse. 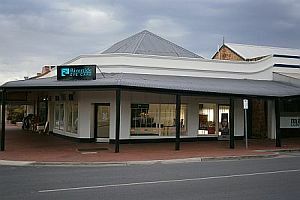 Our Eye Practice sits in a side street, off the main Bridge Street. For your personalised eye care our clinic provides wide scope of eye care services, from; eye disease management, paediatric eye care, binocular eye coordination problems, dry eye treatment solutions, contact lens fitting, through to provision of eye wear products. We can also provide tough prescription safety eye wear for farmers and industry personnel. For your appointment , Eye Clinic number is 08 85 325 896.